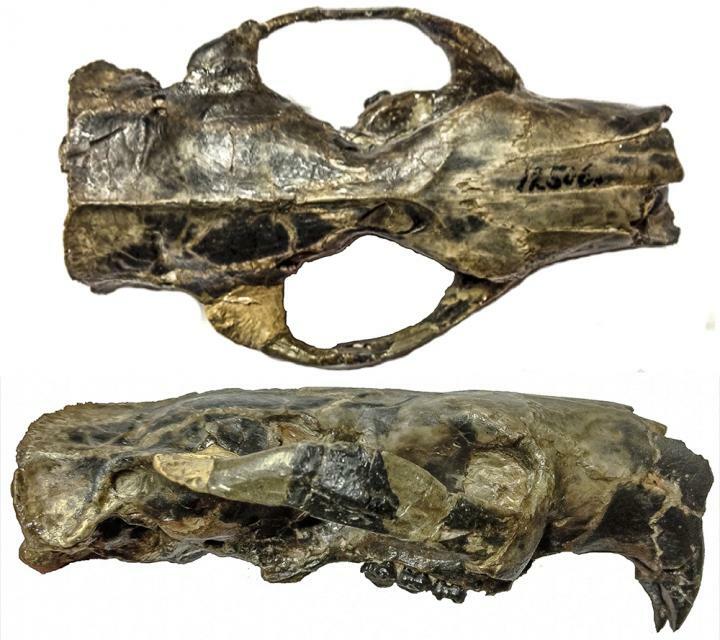 IMAGE: U of T researchers recently reconstructed two endocasts of Paramys, the oldest and best-preserved rodent skulls on record. If new U of T research on the brains of an ancient rodent tells us anything, it's that bigger does not necessarily mean better. U of T Scarborough PhD candidate Ornella Bertrand along with Associate Professor Mary Silcox and undergraduate student Farrah Amador-Mughal recently reconstructed two endocasts of Paramys, the oldest and best-preserved rodent skulls on record. What they found was surprising. "The brain was certainly larger than we expected considering the time period," says Bertrand. "Even more surprising is that it was almost as large, and in some cases larger, than primitive primates of the same time period." The key difference is that Paramys was relatively smaller than even the most primitive primates in the neocortex region, the part of the brain that deals with "higher" brain functions like sight and hearing. "This tells us that something is going on in the neocortex of early primates that is not observable in early rodents. " says Bertrand. "The changes in the neocortex of rodents occurred later in time and with less intensity than in primates." "It also sheds some light on what's unique about primate brains – they were not always exceptionally large, but they were certainly 'smart','" adds Silcox. One of the specimens of Paramys was a large rodent by modern standards – about three kilograms, roughly the size of a small cat – that lived during the mid-Eocene, some 47 to 49 million years ago. Bertrand and Silcox also examined the skull of another with a body mass of about one kilogram that lived around 50 to 52 million years ago. The goal of the research was to better understand brain evolution in early rodents. While there's been some research looking at how the neocortical surface of primates has increased over time, practically nothing prior to this has been done on rodents. What fascinates both Bertrand and Silcox is that Paramys's brain was larger than some later occurring rodents, which contradicts the idea that brains generally increase in size over time. "It's been assumed for a while that mammal brain size increases over time. The idea is that it's probably an evolutionary arms race because if prey become smarter predators have to adapt. But these animals were already pretty smart prey items to begin with," says Silcox. "Size is certainly important, but we're starting to look at different measures that give us a more nuanced understanding of how brains, especially in primates, evolved over time," says Silcox. The research is available online in the journal Royal Society B.